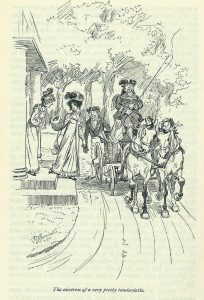 The importance of precedence is a major theme in Jane Austen’s last novel Persuasion, and this post looks at the ramifications of this. Persuasion’s opening scene shows Sir Walter Elliot’s perusal of the Baronetage, the most important book in his library, which charts the lineage of the Elliot family from its first mention in Sir William Dugdale’s Baronetage of England (1675-6) to Sir Walter’s own entry in the 1790s. I found myself wondering how the sisters themselves viewed their social status. The snobbish Elizabeth is content to walk ‘immediately after Lady Russell out of all the drawing rooms and dining-rooms in the country.’ What is important to Elizabeth is that she the eldest daughter of a baronet – an inherited title. This ranks above Lady Russell’s title; she is the widow of a mere knight, the next down in rank, a title held for life only. The only reason that Lady Russell precedes Elizabeth, is that she is married and Elizabeth is not. However, the fact that Elizabeth, Anne and Mary are daughters of a baronet means that they are entitled to various social privileges. Mary, (Mrs Charles Musgrove) is acutely aware of this and resents not being afforded her due when visiting her in-laws, the unpretentious Mr and Mrs Musgrove of Uppercross Hall. She constantly complains to Anne that her mother-in-law ‘was very apt not to give her the precedence that was her due when they dined at the Great House with other families’. Correctly speaking, Mary, being a daughter of a baronet, has precedence over her mother-in-law. As one of her sisters-in-law says to Anne, ‘Nobody doubts her right to have precedence of mamma, but it would be more becoming in her not to be always insisting on it.’ One can only agree. Anne, we note, never thinks of putting herself forward in such a way. Even though Anne is the middle daughter, she is below Mary in the social scale as she is unmarried. Mary, as the only married daughter is now above both her sisters – though I can’t see the snooty Elizabeth allowing Mary to take precedence over her. There is a scene in Lyme, where Mary is staying after her sister-in-law Louisa’s accident, which illuminates this. Mrs Musgrove, Louisa’s mother, has come down to do what she can to help. Initially, her hostess, Mrs Harville, gives the elder Mrs Musgrove the precedence. Mary is put out. 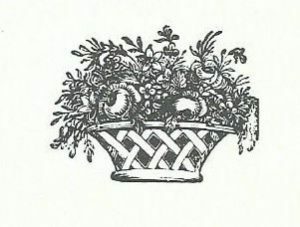 Fortunately, she receives ‘so very handsome an apology from (Mrs Harville) on finding out whose daughter she was,’ that her self-importance is satisfied – especially as Mrs Harville thenceforward gives Mary the precedence that is her due. Whew! This is one of her lowest points; she has now seen, with her own eyes, she sort of life she might have had with Captain Wentworth; one of warmth and affection, and without the cold pomp and ceremony of life in her father’s house – if she hadn’t broken off their engagement eight years ago. But Anne has yet more trials to face; she must go to Bath, to her father’s smart and fashionable house in Camden Place, and leave Captain Wentworth behind, not whether he will propose to Louisa or even if they will ever meet again. We see Anne once more ignoring the dictates of her upbringing, and the disapproval of her father, when she visits her old and sick school friend, Mrs Smith. 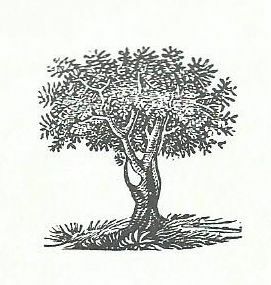 Her father is outraged: ‘A mere Mrs Smith … to be the chosen friend of Miss Anne Elliot, and to be preferred by her to her own family connections among the nobility of England and Ireland!’ But it is this renewal of friendship which helps Anne to be proactive and take the steps necessary for her own future happiness. No-one else will do it for her. Mary and Elizabeth, in their different ways, expect Anne to give way to their own convenience. And Lady Russell values rank more than she ought. One of the things I love about Persuasion, is that Lady Russell has to do a 180 degree turn in her thinking, and Mary and Elizabeth both get their comeuppance when Anne marries Captain Wentworth. And, as a final thought, we might remember that Jane Austen herself was a second daughter and, by precedence, at the bottom of her family’s social pecking order. She is asking her readers to consider just what Mary, say, has ever done to warrant being given precedence. The answer, of course, is nothing. And we might ask the same questions of any number of her characters: Lady Catherine de Bourgh, for example, or Maria Bertram. There is plenty of food for thought for discerning readers here. Thank you for your comment, Susie. ‘Persuasion’ repays re-reading, I think, especially as one gets older. All of Jane Austen’s other heroines are under twenty-one – life stretches out before them. Anne is the one older heroine. She’s twenty-eight, more or less on the shelf, and she has had her chance and lost it. She’s coming for a different place, as it were, and I think most older female readers would empathize with that. Thank you, Anne. ‘Persuasion’ is my favourite, too. It is a book of deep feeling, of the enduring of love lost for many years, and a story which could so easily have ended in personal tragedy for Anne. Hi Elizabeth, a very interesting and thoughtful piece. There is so much in JA’s work to put under the magnifying glass, so much that her first readers would have absorbed but which we have to re-learn and think about. As the youngest of three, and the second daughter, I would have been at the bottom of my family’s pecking order, so I identify with Anne. As it turned out, only I married so I would have been catapaulted to the top. Then I divorced, so I’d have plummeted to the bottom again. It would have been like being Anne Elliott and Maria Bertram rolled into one. What a fate! Hi Natalie. I very much enjoyed your contribution – it’s freezing here and your comment about the ups and downs of the pecking order made me laugh and cheered me up! I agree with you that there’s so much we probably miss nowadays in JA’s work. I have done other posts on JA which might interest you. You can find them if you click on Jane Austen and her world in my Category list to the right of the blog. Thanks Elizabeth, I will. I also noticed that you and I possess the exact same edition of Little Women. Mine is one of those books that was always on the family shelf, as long as I was aware that such objects as books existed. I read it first when I was about nine, and was slightly at sea with it. It took the Sunday night tv adaptation with Martin Jarvis and Helen Morse to get me back to the book properly. Looking back over those exquisite pictures brought a jolt of nostaligia and a sadness that such art seems not to exist any more. I hope you are keeping warm … you sound as though you are up in the North! I agree with you, Natalie. I love novels with good-quality illustrations. Victorian authors, like Dickens, always had superb illustrations which added greatly to the story. 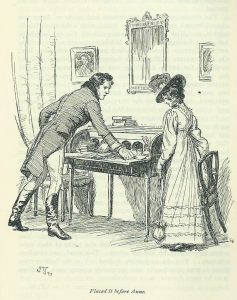 And my old hardback editions of Jane Austen’s novels are also beautifully and sympathetically illustrated – the ‘Persuasion’ ones in my post are by Hugh Thomson. I suppose that, nowadays, it costs too much. Such a pity. On the other hand, children’s books are still illustrated, so cost can’t be the reason.